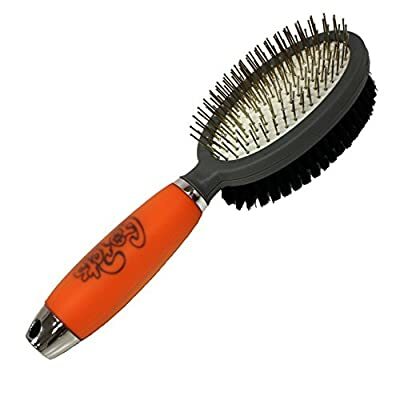 Your Search For The Perfect Pet Brush Is Finally Over! Comfortably and Quickly Get A Professionally Groomed Look in Minutes!
? BRUSHING HAS NEVER BEEN EASIER - With a double sided brush you can meet all of your grooming needs. The bristle brush side helps knock off loose hair or dirt and the pin brush side helps with finishing and combing.
? MAKE GROOMING A COMFORTABLE EXPERIENCE - Our soft bristles with rounded ends is easy on your pet's skin and our handle is made of silicone filled gel so it won't slip, plus it's soft and contours to your hand.
? GREAT FOR SHORT OR THICK DOUBLE COATS - Bristle brushes are the way to go for your short haired pals while the long pin brush is great for your long haired friends. Either way,it will leave your pets looking so soft and shiny that all you will think is "It's so fluffy I'm going to die!". Benefits of pet grooming go beyond just looking great. It improves your pets mental state and behavior. It's also important for their health!
? OUR PRODUCTS ARE THOROUGHLY TESTED FOR QUALITY - We believe in our products and use them with our own pets. We are founded by a group of pet owners and have committed ourselves to bring you best products.
? 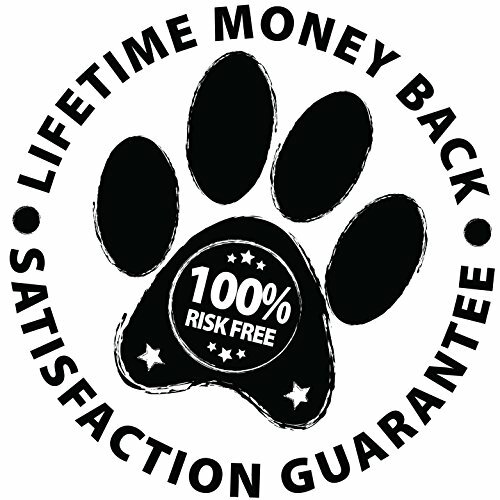 GoPets UNCONDITIONAL LIFETIME SATISFACTION GUARANTEE - We put our money where our muzzle is, because of our commitment to excellence, just contact us if you are not 100% satisfied for any reason and we will replace it or issue you a full refund.
? GIVE BACK - We donate 10% of all our profits to animal charities, no-kill shelters, and animal rescues so that you too can give back to your furry friends and their communities when you buy with GoPets. SPECIAL OFFER TODAY ONLY - BEST PIN & BRISTLE BRUSH ON AMAZON IS GREAT FOR ALL COATS - Double sided brush ensures you have the right comb regardless of if you have a pet with short, medium or long hair. 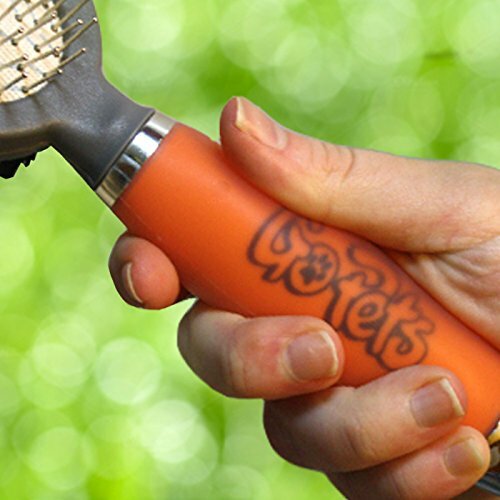 COMFORTABLE FOR YOU AND YOUR PET - Rounded ends on the pin brush makes it easy and comfortable for your dogs and cats and our non-slip silicone gel filled handle conforms to your hand no matter how you decide to hold it. EASY AND FAST RESULTS - With the bristle side easily knock off loose hair and dirt while getting a beautifully groomed coat for your dog or cat with the pin brush side. 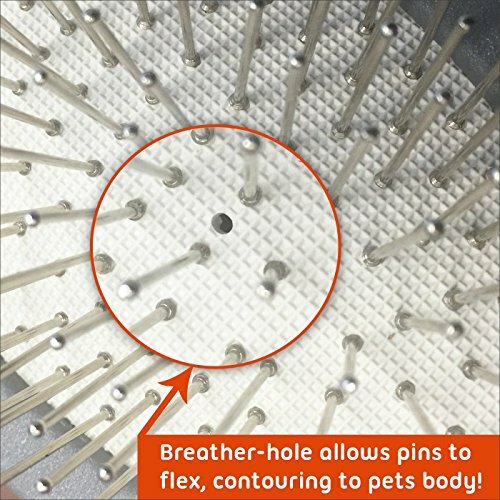 GET RID OF MATS AND LOOSE HAIR WITHOUT HURTING YOUR PETS - The bristles are a soft yet firm nylon with rounded pins designed to penetrate DEEP into the coat and is really able to groom the undercoat well without scratching your pet's skin! BUY NOW WITH CONFIDENCE - Our Unconditional Satisfaction Guarantee - ABSOLUTELY NO RISK TO YOU! We offer a REPLACEMENT TOOL or REFUND if for any reason you are unhappy with your purchase! GIVE BACK TO THE COMMUNITY when you buy with GoPets we donate a portion of all our profits to animal charities, no-kill shelters, and animal rescues so you can give back to your furry friends and their communities.